This is an EXCLUSIVE basketball you won't find anywhere else! 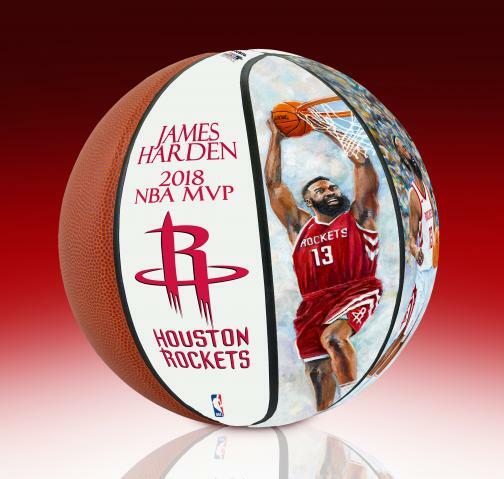 Created especially for NBA and Rockets fans to honor the team's 2018 NBA MVP - James Harden.. 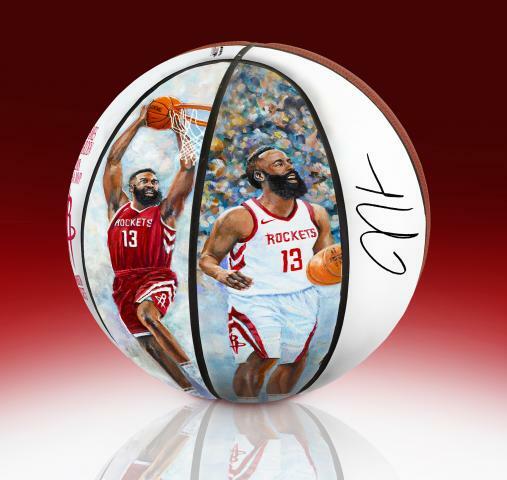 The exclusive James Harden MVP Commemorative Art Ball features the reproduced work of noted artist Jolene Jessie on a size 4 basketball. 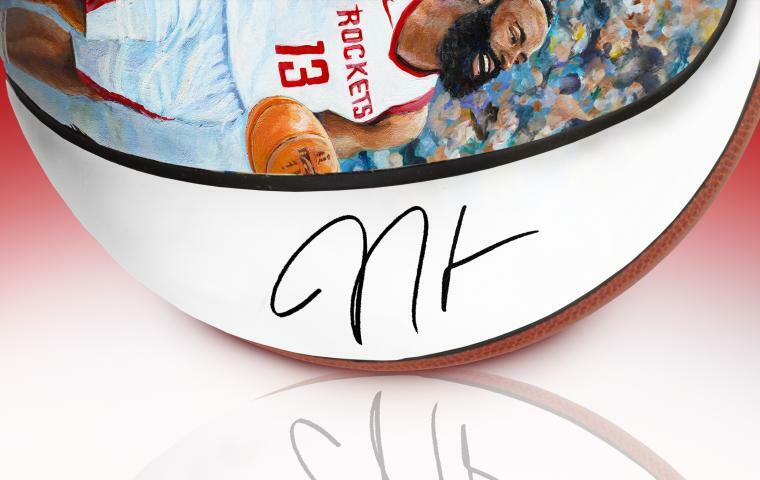 This special piece was created just for the occasion of the James Harden MVP Award! You will not find this ball anywhere else! Order yours before they are gone. Each ball comes with a numbered certificate of authenticity.